Relieves spasms, digestive disorders, and helps concentration. 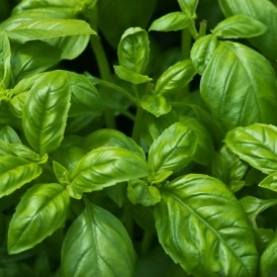 According to Tisserand & Young, there is a low risk of skin sensitization with Basil Essential Oil. A dermal maximum level of 1.5% is recommended based on 33.7% eugenol. Generally regarded as a safe & gentle oil.